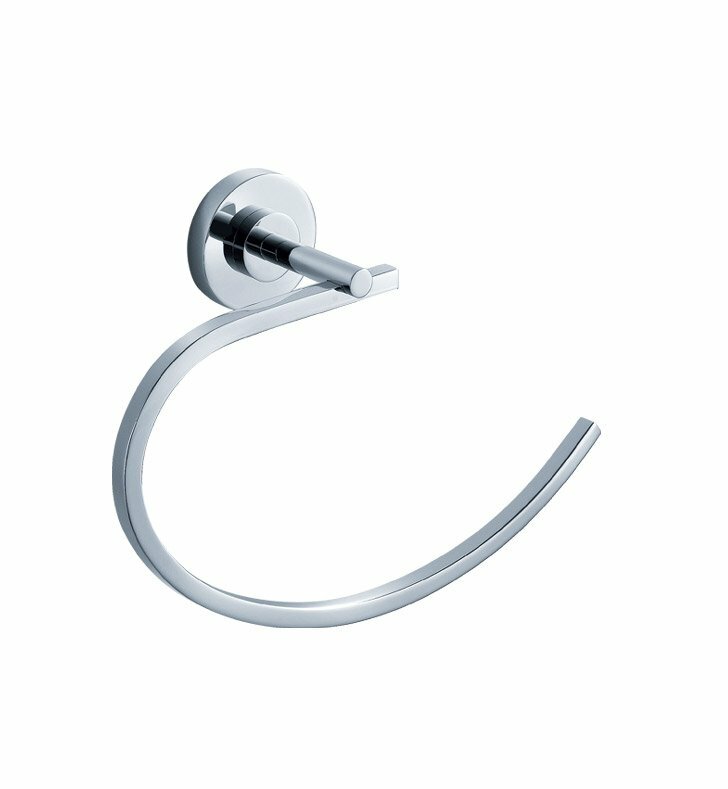 Add to your bathroom's modern flair with a Fresca Alzato Towel Ring - Chrome, part FAC0825. It's ideal for both everyday use and guest bathrooms. The bathroom towel ring has a C-shape that holds the towel securely while providing a decorative touch. Each item features a heart of solid brass, for durability. This brass towel ring is also available in several different finishes, including triple chrome and brushed nickel. Each of these items comes with a one-year warranty on parts. Pros: A well made, modern looking and easy to install towel ring which complements the TP holder we purchased with this item. Staten Island showroom of Decor Planet which was recommended by our contractor, Hisbro Building Services,Inc. was a pleasant surprise with many bathroom vanity sets and accessories. James Boylen was very helpful helping us select the matching items. Inexpensive, luxury looking, great quality, We love it. The only suggestion is to have it installed by a professional. It took our plumber some time to finally have the screw tighten. However, once it's tighten, it seems very sturdy and not shaky at all. We bought 3 sets of Fresca bath room vanities and accessories and enjoy so much of the quality and design.